“A critical element of an effective conveyor system is the Transfer Point”, says Mr Kinder. “By closely identifying, evaluating and optimising existing belt loading, handling plants can reduce many unpleasant on-site issues mentioned earlier, plus address safety issues of dust emissions. This process all leads to improving and extending the service life of the conveyor belt”, adds Mr Kinder. With a 2.5 metre, vertical impact drop height from the cone crusher and material lump size of minus 60mm provided evidence the conveyed material was pooling. This was due to the material not moving in the direction of the conveyor belt. 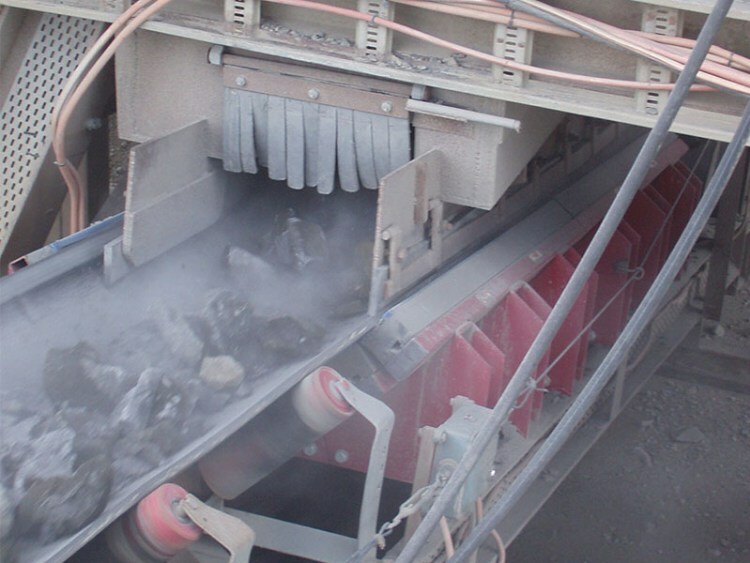 A combination of conveyor belt sag and inconsistent conveyor idler profile gave way to ineffective skirting system, this inefficiency further aggravated dust emissions and ongoing spillage challenges at the quarry.